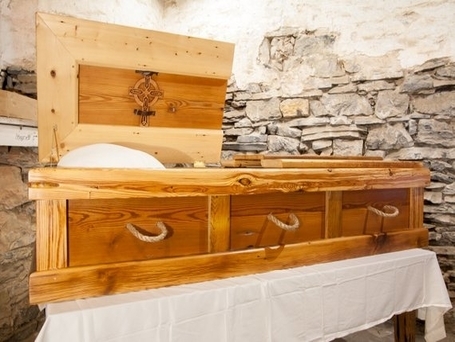 We handcraft custom, personalized wooden caskets from reclaimed and sustainable wood sources that both honor our loved ones while helping protect Earth’s natural beauty for future generations. 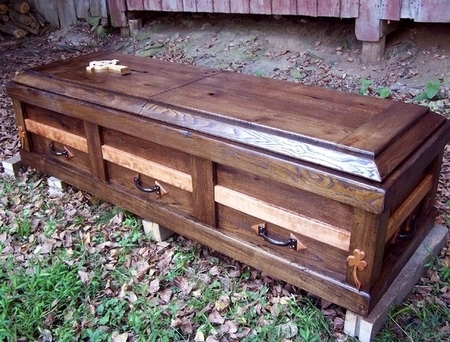 From old growth West Virginia fir salvaged from old coal towns to reclaimed wormy chestnut now gone extinct but still found in old barns and houses up and down the Shenandoah Valley - we strive to make your loved one’s final resting place as unique and remarkable as them. You could buy something mass produced…but why would you? Call us toll free at 1-888-712-4184 or email us at strongoakswoodshop@gmail.com and let us know how we can help make something beautiful for your loved one.